A modern well established law firm with extensive legal expertise and professionalism that spans over 120 years in providing legal services to individuals and business throughout the West Yorkshire region and beyond. Ensuring that we recruit the brightest minds in the business to provide an efficient and results-driven service is what has enabled Atkinson Firth to continue thriving over the years. 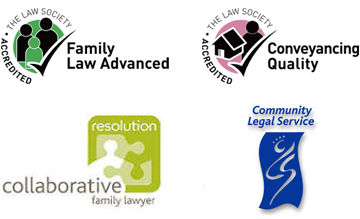 Our goal is to deliver legal services to you (whether for you personally or for your business) in a way which is tailored around you and not just a 'one size fits all approach' like conventional firms. With significant investment in our people and technology to keep ahead of the times, our solicitors can deliver a service around you, both cost and time efficiently. Our people are fully equipped to be able to respond to your needs. "Law Made Simple since 1895"
We don’t overcomplicate things. We are a firm that pride ourselves on being caring and considerate in how deal with each client. Each matter we deal with is given personal attention by a solicitor, whether it is buying or selling a property, obtaining a Court order or receiving compensation, we guarantee we will do our best.